This nail spa isn’t the first mover, but it’s successful at attracting underserved markets—men, children, and families. Hand, nail, and foot care used to be just minor services in beauty salons and spas. Ramon de Ubago III, president and CEO of Nail-a-Holics Nail Salon and Spa is among the entrepreneurs who changed the game, by giving our hands and feet the attention they deserve. 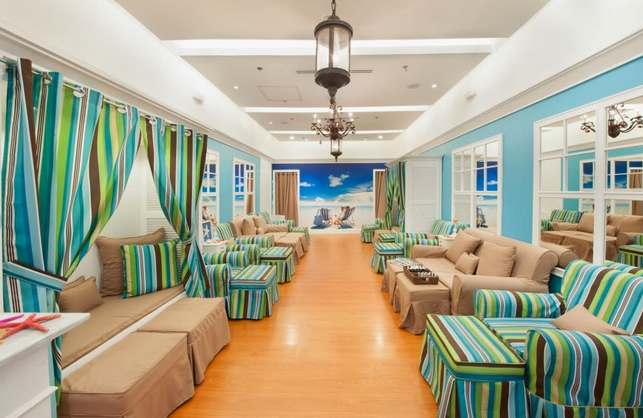 De Ubago, who is also the owner of Vivere Spa, shares that his experience running a full-concept spa inspired the move to create Nail-a-Holics. Its first store opened in December 2009 at the Cash & Carry Mall in Makati. “We are not the first nail spa in the country,” admits de Ubago. He knew that the only way to make the business fly is to rethink its view of the market and cater to underserved segments. Capturing the male market was crucial: “We observed that men typically would just drop off their wives in salons, and then they would go elsewhere. So, we came up with treatments and packages for both men and women to get the men to try our services, and allow partners to bond. That is why our ambiance is not girly,” says de Ubago. Nail-a-Holics has treatments for children as well. This allows parents to enjoy being pampered, without having to worry that their kids are getting bored, or that no one is minding them. Without the constant question, “Mom, are you done, yet?” from kids, parents can allow themselves to truly relax. Safety is also important because of the presence of children. Thus, the training given the staff includes dealing with children and safety around them. The training likewise helps ensure that the quality of service is the same in all branches, including the franchised ones. According to de Ubago, Nail-a-Holics provides franchisees an operations manual with detailed guides. “Aside from that, we also build the store for the franchisees so we could duplicate the kind of ambiance we have in the other branches. We train the staff, the service manager, and the franchise leader. We also have regular audits,” he shares. Nail-a-Holics also monitors its stores and provides franchisees the materials and support they need in order to execute the kind of service the business wants to be known for. De Ubago shares that they have once-a-month meeting with franchisees, where the latter submit reports to the franchisor. “We want the franchisees to do well, so we provide them with tools to analyze the performance of the store, to know the demographics of their customers and which services are moving,” he says. Nail-a-Holics has come a long way from its beginnings. 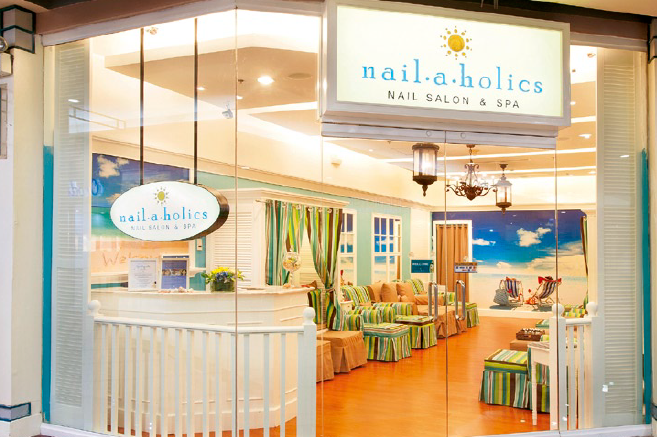 In just three years, it has become the biggest nail spa in the country, with around 40 branches in Luzon and Mindanao. Indeed, Nail-a-Holics has what it takes to nail the market.